This is a Knife. It was manufactured by International Silver Company. It is dated 1936 and we acquired it in 1988. Its medium is stainless steel, silverplated metal. It is a part of the Product Design and Decorative Arts department. It is credited Gift of Gillian Moss. On handle: "Flagship" and flag-like symbol. On blade: "INSICO" for International Silver Co. in silverplate. 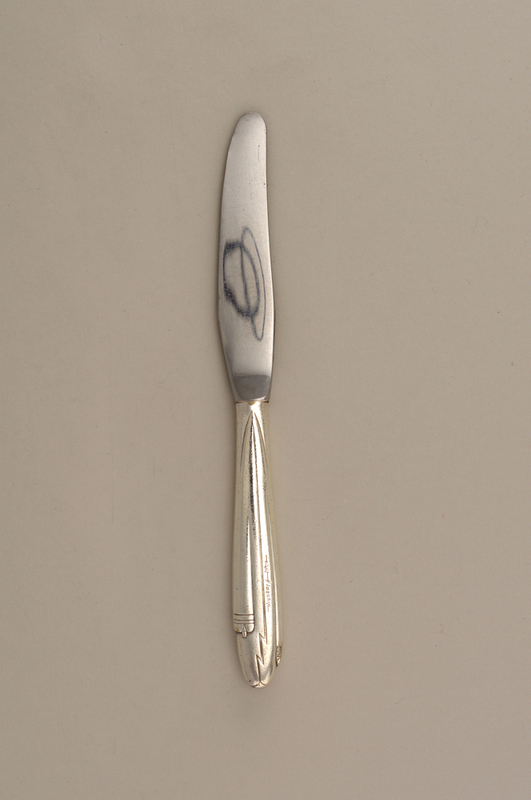 This object was previously on display as a part of the exhibition	Feeding Desire: Design and the Tools of the Table, 1500-2005.